As all of us know Kohinoor is one of the precious diamonds of India which is at present exit in the crown of Queen of Britain. 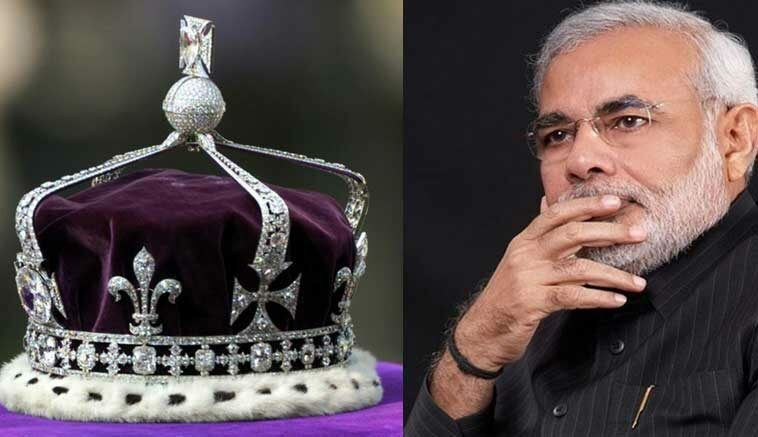 During Prime Minister Narendra Modi’s visit to Britain, once again the demand for the return of 800 years old world’s largest diamond Kohinoor has begun. A group of Indian industrialists and actors, asking for the diamond be returned to India. In fact, the demand for the return of Kohinoor in India is rising since MP Shashi Tharoor put this topic in his speech at Oxford University. Prime Minister Modi also praised Shashi Tharoor’s speech. After this, Keith Vaz, an Asian-origin MP in the UK for the longest time, had said that Britain should at least return the Kohinoor back. Even people of India don’t know when they will get their Kohinoor back in their country but all of nation wants it back. Be the first to comment on "Kohinoor Of The Country Kept Near The Queen Of Britain, Will Modi Be Able To Bring It Back"